Advanced periodontal care options available from one of the top dentists in Monmouth County, Dr. Peter Ciampi, can minimize the threat of gum disease and significantly improve your oral health. Periodontal (gum) disease is a very common condition that will affect most individuals at some point in their lives. In fact, it can even be present in those who take excellent care of their teeth and gums. Gum disease develops due to the buildup of plaque and bacteria in the soft tissues around the teeth. While the beginning stages of gum disease may seem relatively mild, the condition is progressive and can cause serious problems if left untreated. Early signs of gum disease include red, bleeding, and/or swollen gums. Without diagnosis and treatment, gum disease can lead to gum recession, loose teeth, total tooth loss, and an increased risk for overall health conditions such as stroke, heart disease, diabetes, and others. When periodontal disease is detected in its earlier stages, Dr. Ciampi and Associates can treat the condition with procedures designed to reverse some of the damage and restore your gums to a healthy state. Patients with more advanced stages of the disease can also benefit from restorative procedures that can address tooth problems that have already occurred due to gum disease. Maintaining a daily oral hygiene routine (twice-daily brushing and flossing) and scheduling regular dental examinations and cleanings are essential to keep your teeth and gums healthy as well as beautiful. Regular examinations allow Dr. Ciampi and Associates to detect dental problems in their earliest stages for prompt treatment, and can help prevent conditions such as periodontal disease. 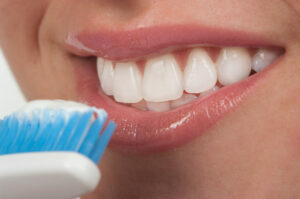 With good oral health habits, you can enjoy healthy teeth and gums for years to come!